Home > Blog > Our limited date festive sugar modelling class is available to book! Our limited date festive sugar modelling class is available to book! 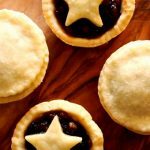 Now it’s mid-October we feel it’s time for us to start letting you know what’s upcoming this Christmas at the Bake School. 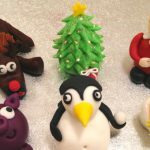 The first of our festively-focused classes is Festive Sugar Modelling where students will master six different sugar toppers completely by hand from scratch. It’s a 5.5 hour class that’s suitable for beginners, improvers and we can even welcome accompanied younger students aged 14+. Click here to find out more and book – places are strictly limited to two dates, so hurry!